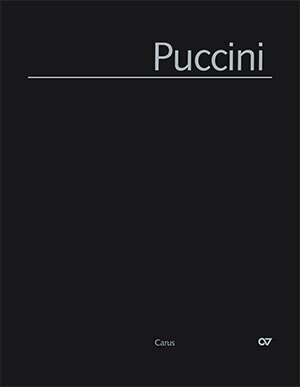 As the second volume of the "Edizione Nazionale delle Opere di Giacomo Puccini," a critical new edition of his compositions for orchestra has been published in the series "Musical Works." 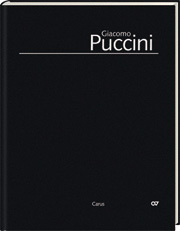 In addition to the familiar Preludio a orchestra (SC 1), Preludio sinfonico (SC 32), Trio in Fa (SC 52) and Capriccio sinfonico (SC 55), the volume contains a short but unknown Adagetto (SC 51), probably a sketch of a composition from Puccini's student years in Milan. 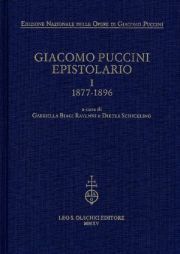 And, for the first time ever, it also includes an orchestral version of the Scherzo in La (SC 34) from 1882, a work which was just recently discovered. The Scherzo, known until now only in a version for string quartet, complements the Trio in Fa, which is scored for the same orchestral forces, to form an independent movement.